Having robust health and safety systems in place is important. They will protect everyone on farm from having accidents, being injured and becoming ill from the work they do. Planning to avoid injury and work-related ill-health makes sense. Health and safety doesn't just happen by itself, but it doesn't need to be complicated either. If you rely on instinct rather than planning, you are statistically more likely to get sick, injured or killed. Plus, the law requires you to put in place systems that keep people safe. People who go to work on the farm should be able to go home at the end of the day uninjured and alive. 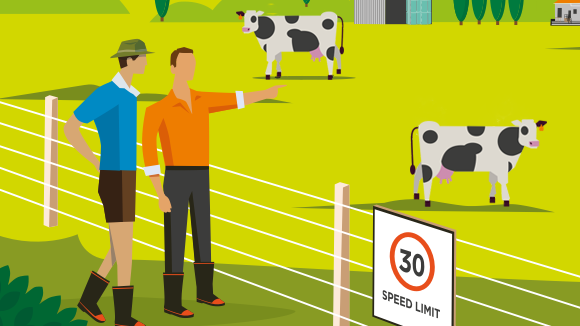 As a team, come up with a list of behaviours you want to see on farm - your 'farm rules'. This can be the basis of your health and safety plan. The key to making this a success is that no one breaks the rules. An important part of everyone being safe and healthy is involving the team. Sit down as a team (include family) and work out why you want a healthy and safe farm. Pin it where everyone can see it. DairyNZ recently put in place a programme to ensure the people working on our research farms are safe, healthy and happy. The learnings and experience we gained from this journey are covered here. Forms, templates and fact sheets that can be used as part of your health and safety processes. Farmers face many health hazards at work every day, from pesticides to noisy machinery, and the risk of ill-health is more common than you think. ask a question, report a notifiable event or find out more about health and safety. 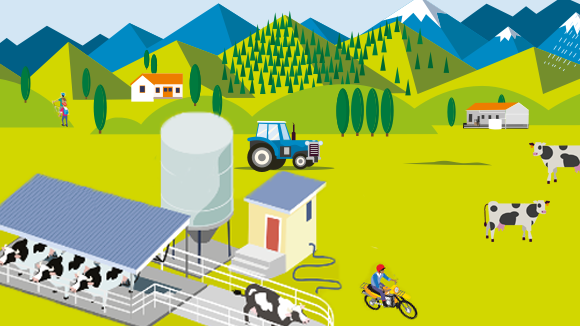 find out more about farmer wellbeing. 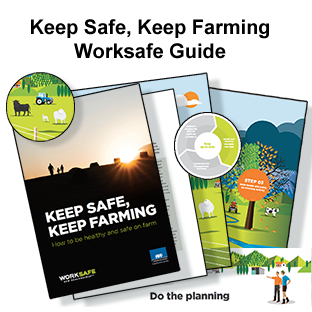 order a farm safety management system or seek safety advice on 0800 327 646.